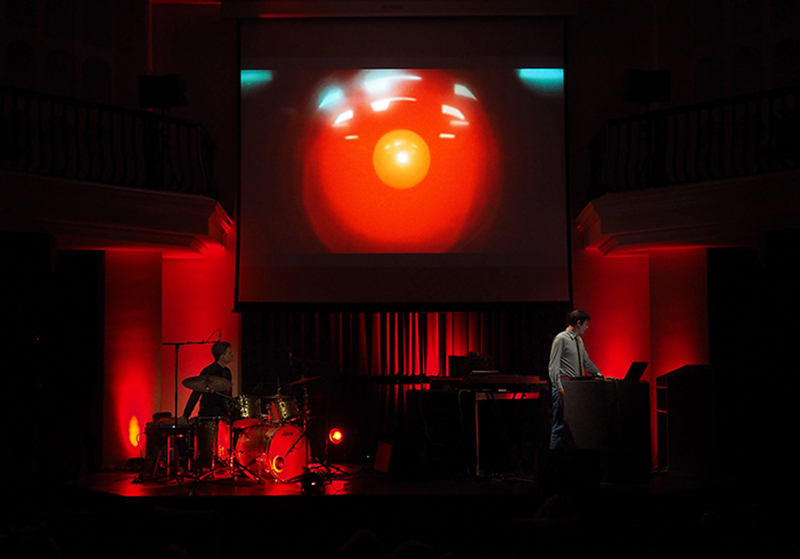 Paralectronic Felix Kubin and collision prognosticator Hubert Zemler zoom into the audiovisual world of well-known science fiction classics to search for black holes, white spots and interferences in the cracks of the collective subconsciousness. Key scenes of the genre are rebalanced through alienation, dislocation and noise. The varied field of illusion dissolves the classical narration into its components, the film becomes the architecture and meta-language of the External, a string of signs that (hopefully) will be understood by all inhabitants of our galaxy. “Pulsate, Vibrate, Alternate, Plastic.” A deconstruction of cinema to the standstill of time.